Join bsmart and keep on shopping at the places you know and love. We will give you a portion of your spend in cash back when you shop at any of our partner retailers. Settle your card in full every month. 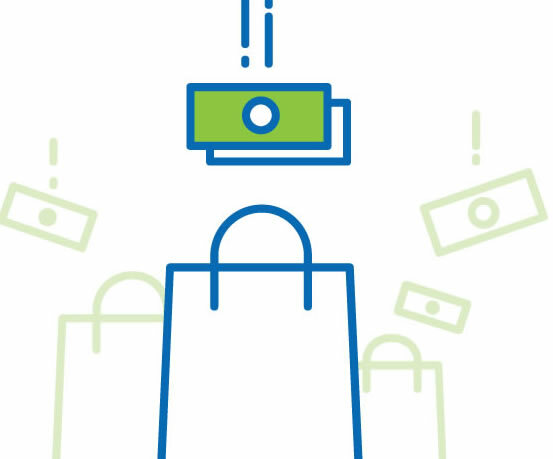 Earn cash for shopping where you always have. Your cashback is yours to spend however you like, save or donate. Keep on using your existing loyalty cards. We partner with 10,000 retailers, and work tirelessly to sign deals with more. Use our free calculator to find out what you can save when you join bsmart. Joined bsmart before October 2016? We've been reinventing our offer. What some of our members have to say. bsmart makes it easy to keep track of what we spend as a family. And of what we save. It's clever that way. I feel like I'm being rewarded for doing what I've always done. I only wish I'd joined bsmart sooner.